Currently loving tulip silhouette skirts and oversized balloons. Tune in tomorrow for an AMAZING giveaway, have a wonderful Thursday! Such a colorful and dreamy outfit post! Beautiful skirt! Such a pretty outfit…I love the bubble skirt look too! And how fun are those balloons?! 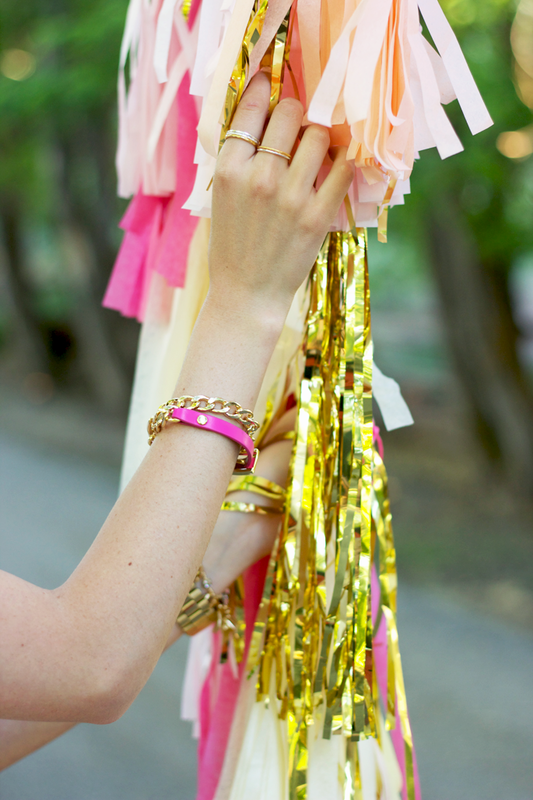 Such a cute idea with the balloons :-) Love the jewelry! Those balloons are awesome! They make for such an interesting photograph. I love the skirt, I instantly have to check out asos, and I’m so excited the midseason sale is already beginning now! Amazing photos, you look so beautiful! Awesome shots! Great balloons, great outfit. Super fun! You look absolutely darling with these balloons! Love this yellow bubble skirt, so cute. 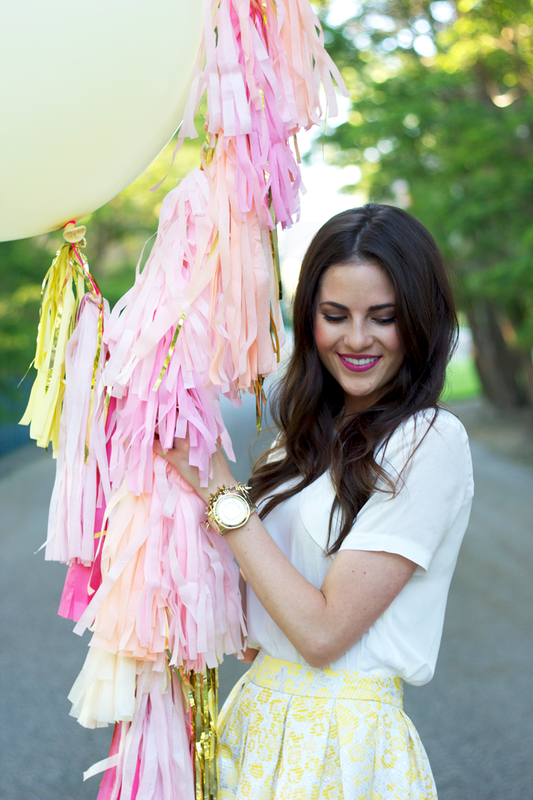 such a pretty outfit – how cute are those balloons!!! OMG Rachel these are such a beautiful pictures!! I love the ballons, the skirt, the top, the shoes…EVERYTHING!!!!!! That skirt is fabulous!! The balloons are such a cute addition to the post! Love everything about this post! So classy! this looks straight out of a magazine – love it!! Everything about this is absolutely adorable! Love the balloons, and all the colors so bravo! Love the ballons! Just awesome! If only all photos could be taken with ballons! I love this post – so fun and pretty!! Those balloons are too adorable–they would have been perfect for a party I just threw! As always, your outfit is gorgeous! Your outfit looks absolutely lovely and the skirt is amazing! The balloons were a really cute touch as well! amazing pics!!!!!!!!! !great colours and idea!!! love your outfit and your shoes!! WOW! Stunning! You are so beautiful and I can tell that your beauty is not only external but internal as well! Thanks for the wonderful style inspirations! Thos are some of the biggest balloons I may have ever seen. I’m digging the accessories- nice! That bubble skirt is a great shape on you! I love those jewels(I’m a Stella & Dot stylist! I’m wearing the stackable band rings today too!! Great outfit. Love the balloons, they really make these photos extra special. this is just exquisite. i love the detail in the skirt and the top – such simple fabric manipulations to make a stunning outfit. you look adorable and I love the stylistic theme of ballons, so classic and fun! You are a doll!!! Beautiful post. So much much! love it~! great photos love the skirt so cute! Oh. My. Word. That skirt is some kind of WONDERFUL! I love this whole darn post!!!!!! 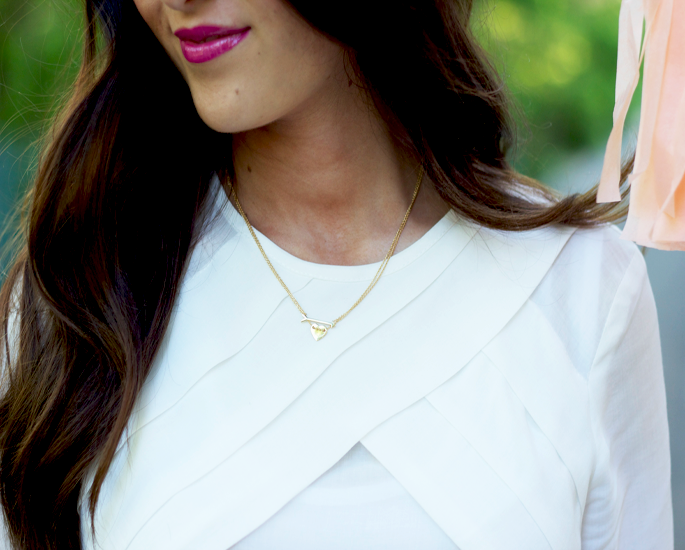 Here’s how I’ve been handling summertime fashion! I love your skirt so nice and the picture with the balloon so nice!! Your hair looks beautiful all the time. Can you please do a post on how you style it? Thanks! Your hair looks beautiful all the time. Can you please do a post on how your style it? Thanks! Absolutely love the giant balloos – sooo cute! what a gorgeous fit! 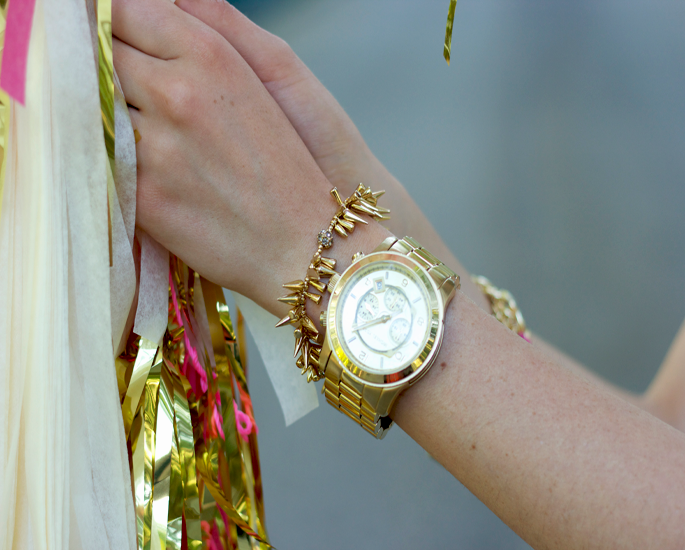 love that gold watch as well. super adorable and those heels are seriously wonderful!!! Elisabeth from La Vita e Bella recommended your blog to me (i’m kind of a fashion blog fanatic) and you are awesome! i’m your newest follower :) Check out my blog sometime! such a pretty outfit and I love the use of the balloons!!! Those balloons are so fun~ perfect for a summer birthday! Gorgeous. Balloons are my favorite accessory. Beautiful! It’s so whimsical and pretty! These pictures are pure perfection. These might be the coolest pictures I have ever seen! Great pictures. I just love those balloons. Where do you find things like that? Of course your outfit is gorgeous too. No surprise there. Your outfits are always gorgeous! easily my favourite post you have ever done!! Seriously in love with this. Gorgeous colors are you look just stunning in that skirt! Fun shape! I recently found your blog, don’t have a clue how but I love it! I keep finding myself saying, “who dresses like that!?! because it’s friggin fabulous!! !” I seriously love your style and was immediately sucked in. I can’t wait to see more. love the balloons btw. I love your blog, I’ve just discovered it; your look is WAH! It is about fashion photos/outfits but also nice places in Paris! I can’t get onto the Big Balloon website… is there an invite that I need?!?! I love this! How have I not ever seen your blog before? So fab!! Such a fun post! Love it!! Gorgeous pictures! Love the colors and the BIG balloons. LOVE your necklace! just stumbled upon your blog and i am loving it! now the newest follower! I absolutely love the balloons & these photos! The outfit is pure fun and ultra-feminine, love it! Such a fun shoot! Beautiful look Rachel! I’m so glad I caught up on Google Reader blogs today and saw this post. I’ve been looking for a simple white blouse to wear with skirts and dress pants for a LONG time. I just love the crossed detailing on your Asos blouse. With a 20% off coupon I saw on another blog I ordered that shirt faster than you can say BARGAIN! Love your blog and your fashion sense. Thank you for making my day! I am so obsessed with that skirt! :) Gorgeous style!